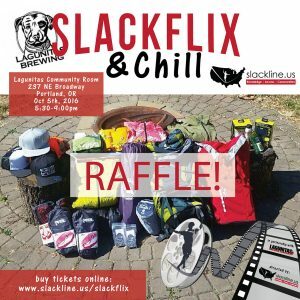 SlackFlix & Chill – Community night in Portland, OR – Slackline U.S.
Join us on October 5th for an evening of slackline movies, beer, food, inevitable gear talk and a raffle at the Lagunitas Community Room. We’re bringing together slackliners, climbers, acroyogis, and other member of the OR outdoor community to hang out, get to know each other, watch some sweet ‘SlackFlix’, and toast to the outdoors with a cold beer from Lagunitas Brewing Company. Our relationships with other outdoor sports enthusiasts can lead to awesome collaborative projects and a stronger voice when managing access issues in the public lands we all share. Come join us and see where your next adventure takes you. Tickets are $25 and include 2 beer tokens, food, and a raffle ticket. Don’t drink or don’t like beer? No problem. Trade your tokens to a friend or trade them into us for extra raffle tickets. More beer tokens will be available on site for $5 each. We’re also hosting a raffle with items from our sponsors including Big Agnes, Petzl, Edelrid, Bluewater Ropes, DMM, Deuter, Adidas, and more. 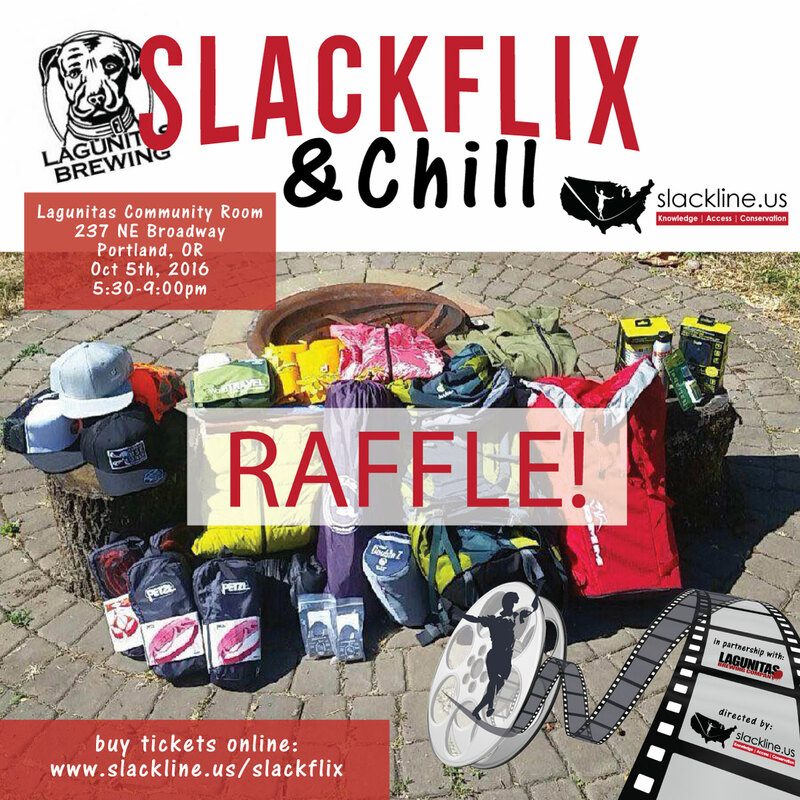 Proceeds from ticket, beer, and raffle sales will go to Oregon slackline access and community efforts in collaboration with Slackline U.S.
Coming soon. Will likely include some things with French guys, records being broken, tricklines, waterlines, slackers using their powers for good and other non-slack adventures. Are you a member yet? Join us today and add your voice to help protect slackline access and promote safety and conservation.